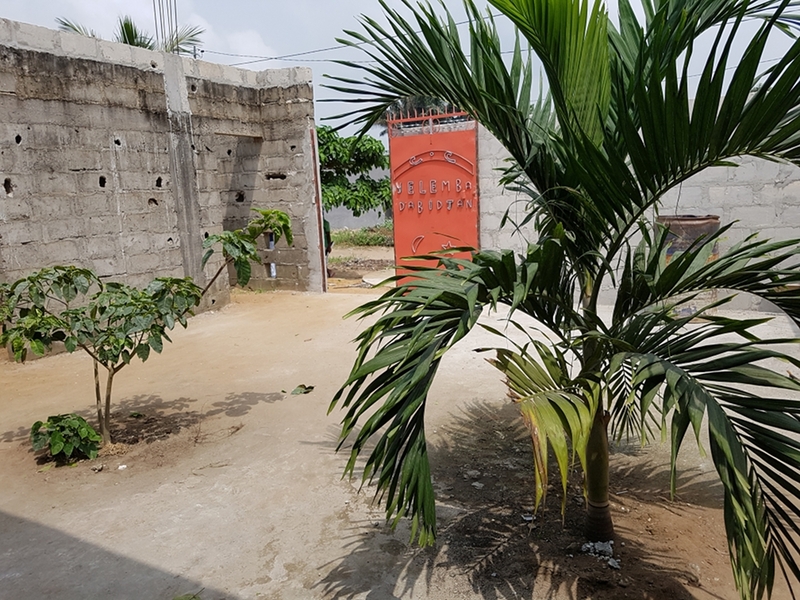 Project for the creation of a residence center and an art school at Abidjan. 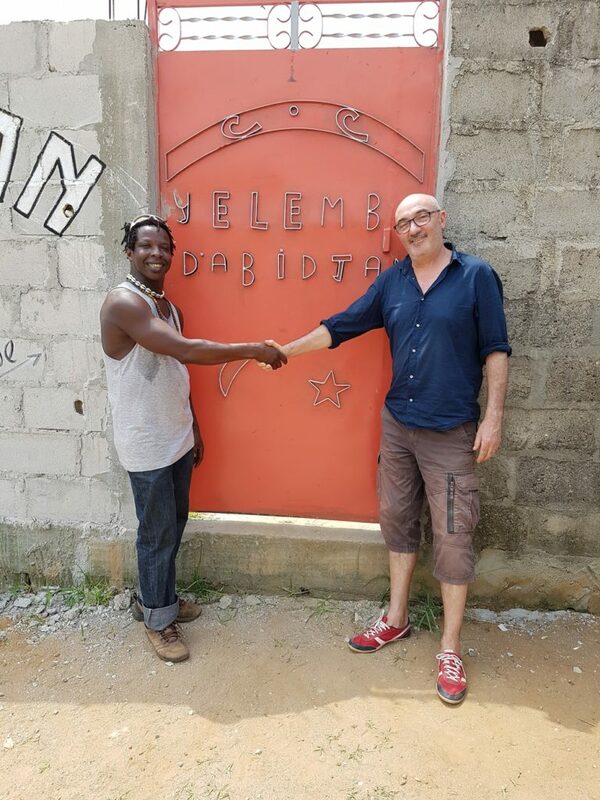 The company Yelemba d’Abidjan. (Biography) needs, for its development, of an adequate space for the rehearsals and for the creation of new performances. The new building will also provide a stable accommodation for some of the artists, giving them major tranquility and peace of mind. This structure will allow them to exercise, to create and to build new choreographies in a space which is equivalent to a stage. While conscious of the importance for the children to attend regularly the local schools and concentrate on their studies, the art center of Yelemba has the aim to teach, in after-school hours and in adequate conditions, traditional music and dance to the gifted young boys and girls of the area of Akeikoi, using good quality instruments and offering excellent professionals as tutors..
“Culture brings people together” is a phrase rich in significance in Ivory Coast in the post-civil war era, where indeed culture and the arts may become fundamental tools to build the reconciliation. The young Ivorians are the driving force of the future and, in order to maintain the rich traditions of the different ethnic groups present in Ivory Coast, it is necessary to stimulate and teach the youths, to uncover new artists and young talents and to develop new artistic vocations. 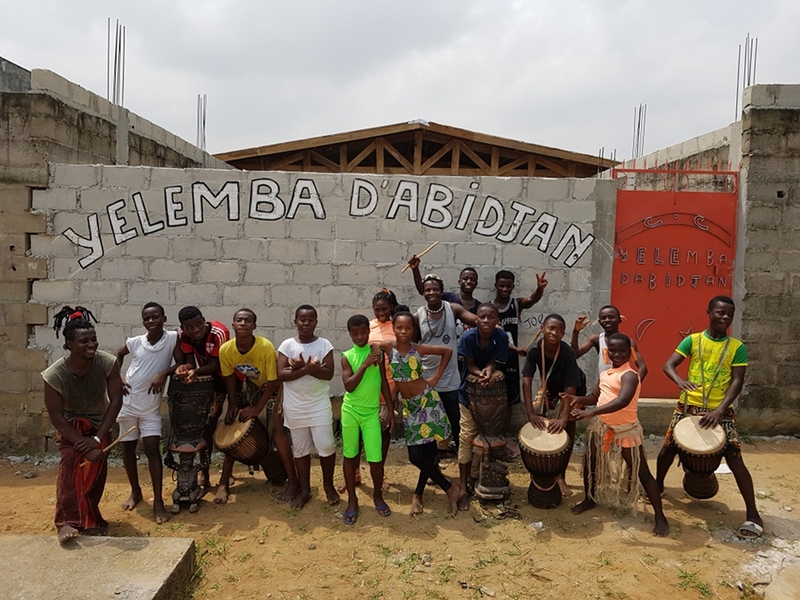 A group of 8 to 12 years old boys and girls have already taken as their own the performances of the Yelemba d’Abidjan artists, have built their own drums with recyclable materials and have followed their elders dancing footsteps.  This is why, in 2014, Lassina has formed the company “Yelemba Junior” and has offered them their own stage costumes, so that they may be able to present their performance aside that of Yelemba d’Abidjan. Since 2015 the association Trempolino, based in Nantes, in partnership with Yelemba d’Abidjan, organises every year two courses, lasting a fortnight each, for professional French musicians and dancers who wish to strengthen their knowledge about west african performing arts. One of these courses takes place in Akeikoi, at the main art school, and the other in Khorogo, in partnership with the association “Alliance Française”. 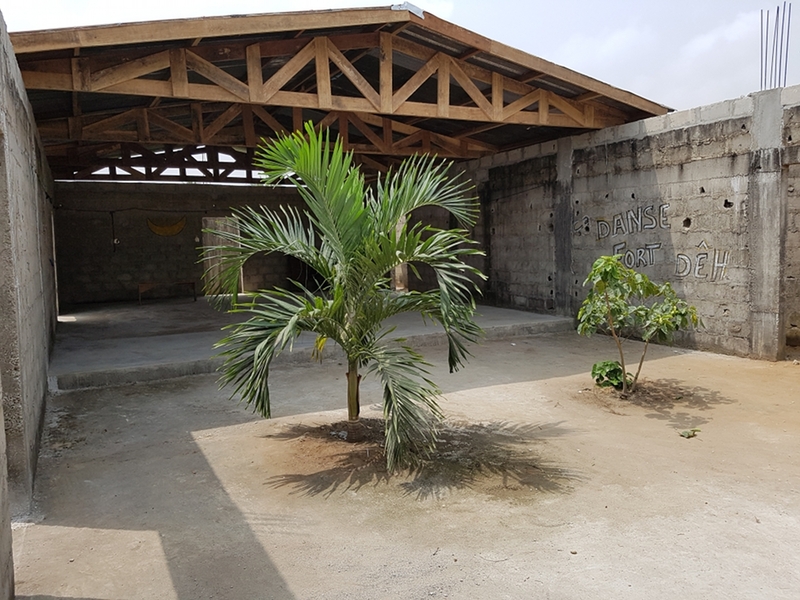 Once the art school building will have been completed, it will be possible to host a dozen of the trainees during the courses. 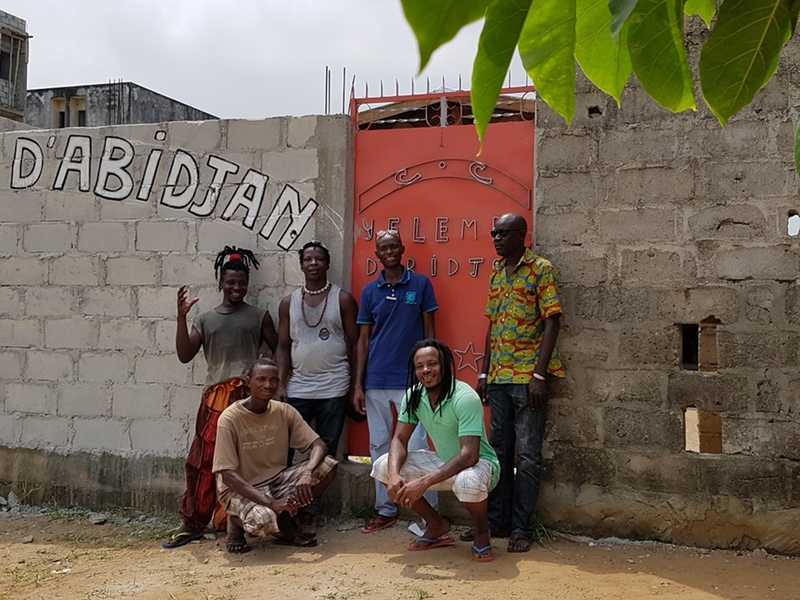 Since 2012, Yelemba d’Abidjan offer dance and drum courses open to whoever, from anywhere in the world, is interested in learning african dance and music. These courses are organised thanks to the help of other entities such as the association Yebin (based in the region Haute-Alpes in France) as well as others (Trempolino…). ► To create a space capable of hosting dancing and musical dinners, as well as concerts given by local and international artists, in favour of the local population. 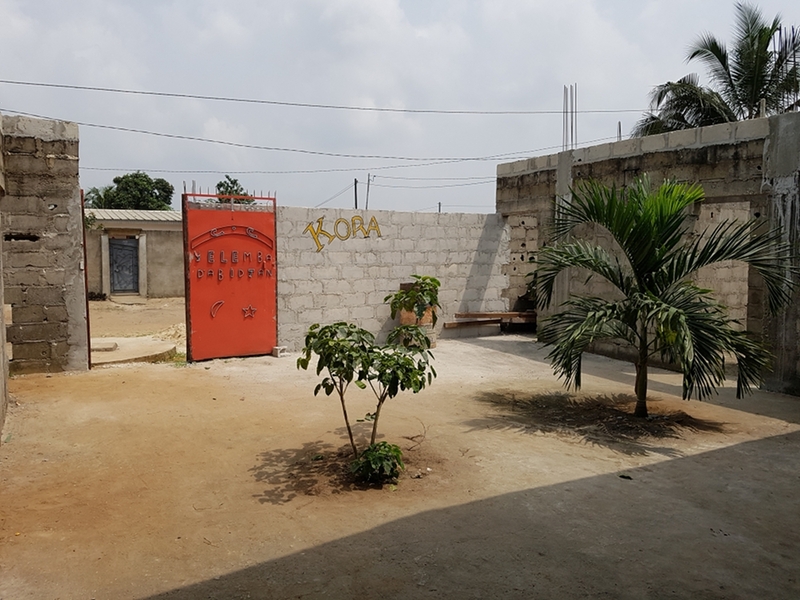 The company needs a space in which to rehearse and entertain, but also in which other Ivorian or foreign artists may be able to perform while passing through Abidjan. 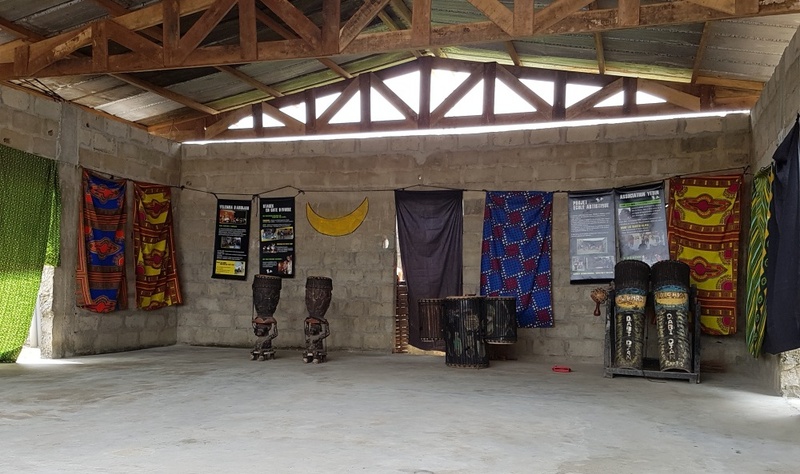 No other such theater or space is present in the neighbourhood of Abobo-Akeikoi. The local population would benefit from the possibility of enjoying art performances at a reasonable cost, perhaps while dining, as well as exchanging ideas with artists from different horizons. The financial benefits obtained from these events will help maintain the structure in the long term. The Artistic residence center is at present composed of a spacious working space, in the form of a covered stage, dedicated to training as well as creative activities. The rest of the ground floor needs to be completed: a kitchen, 6 rooms, 2 bathrooms, a changing room for the artists, a technical space and an office. Up to now, financing has come from the private funds of Lassina Coulibaly himself and of his friends and collaborators. This represents about 20.000 Euros, invested in the acquisition of the land and in the first phase of the construction. Several partners are ready to finance the project for up to 50% of the needed budget, on the condition that the other 50% of the sum will be found, that is 7000 Euros. 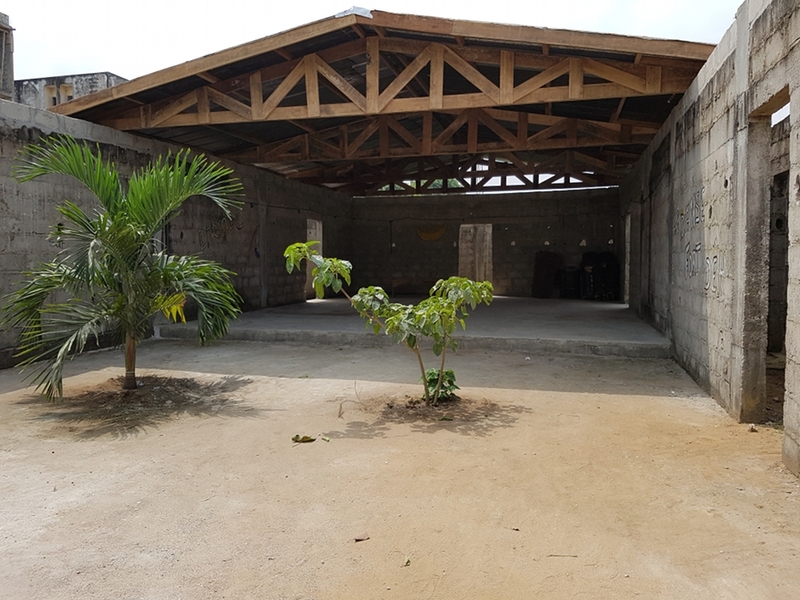 In order to finalise the construction, which is already well advanced, we need your financial support. Indeed the completion of the ground floor will allow the Yelemba artists to move stably to this location and avoid having to pay a rent, as they do presently. This will also provide the children of Yelemba Junior with a more adequate space and to train in better conditions. 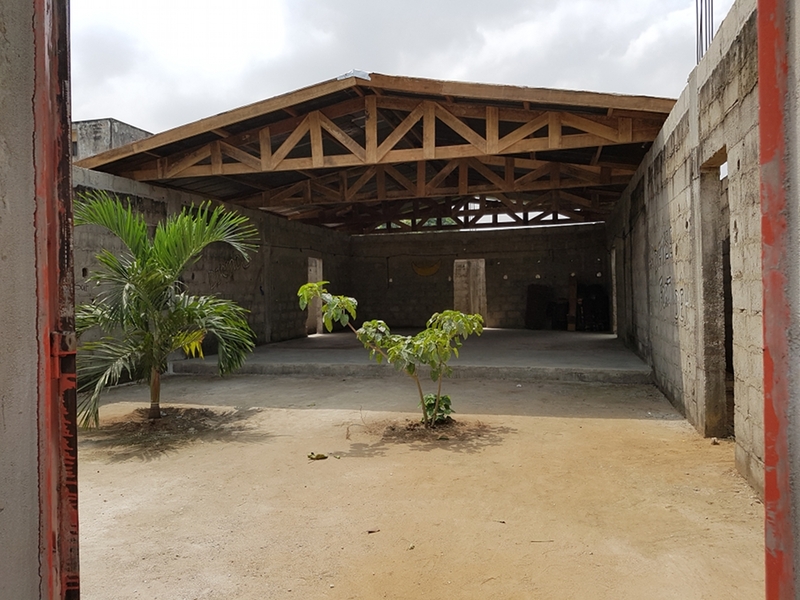 The permanent installation of the company in the new building will also allow them to host the external trainees, musicians and artists and their international partners in a more comfortable location, and this already from the end of 2018. In the long term, the revenues obtained from the different activities of the art center should allow to build a second level, with bathroom, 6 more rooms, an eating area and a living room. 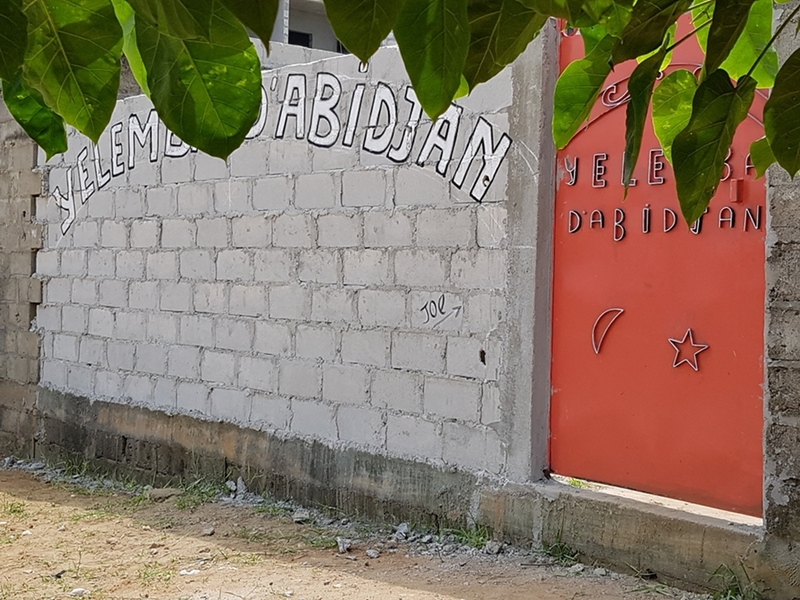 La troupe Yelemba d’Abidjan vous remercie chaleureusement pour votre contribution.